Up for sale my Breitling GMT ref. 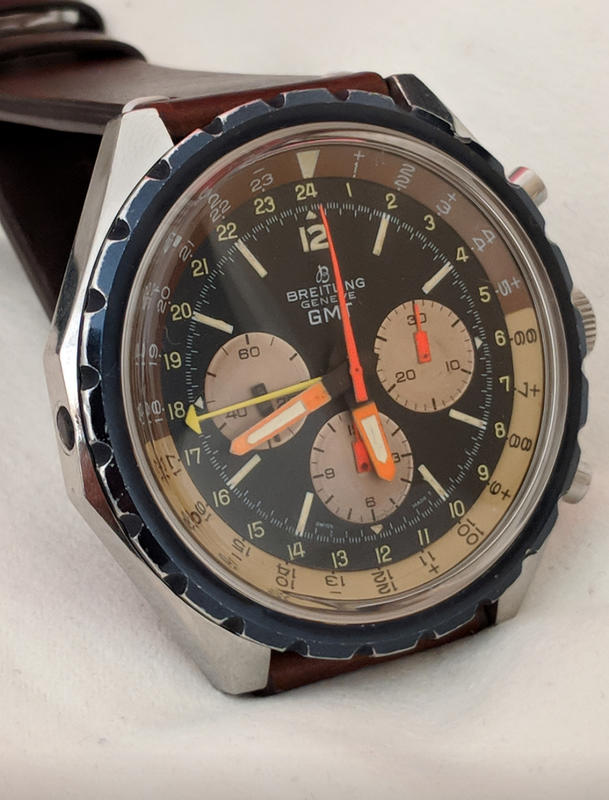 812 from 1968, from the first owner, Case 48mm, stainless steel, screwed back, chronograph with second-time-zone, 30 min counter, 12 hour counter, dial with luminescent numerals in beautiful condition, inscribed Breitling GMT, leather strap with vintage Breitling buckle, in very good condition with amazing patina, a rarity. Very hard to find a good example with the original bezel.